Posted May 22, 2018 by Charles Morris & filed under Newswire, The Tech. 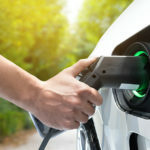 Now BP Ventures has invested $20 million in StoreDot, which is developing a new battery technology that it hopes will enable EV charging in as little as 5 minutes. The company hopes to bring a “flash battery” for consumer electronics to market by 2019. “The combination of BP’s impressive presence and StoreDot’s eco-system of EV partnerships enables faster implementation of ultra-fast charging stations,” said Dr. Doron Myerdorf, CEO of StoreDot. I’ve got my popcorn out for the next few years. [ as Big Oil (and Auto) scrambles, if not panics ].